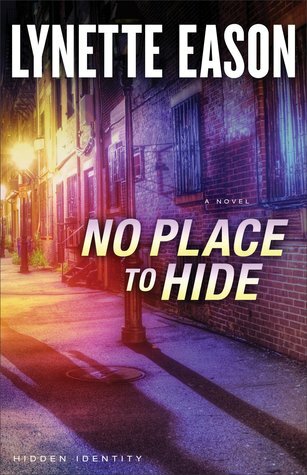 As a former police officer and detective, Jackie Sellers knows how to handle herself and solve mysteries. What she wasn’t prepared for was seeing a childhood friend’s face across the TV screen saying he’s a terrorist and wanted by the FBI. Ian Lockwood would never do anything like that–would he? Only when Jackie decides to speak with him for herself, will she be able to tell what’s going on; however, she gets the surprise of her life when she breaks into his house and all hell breaks loose. Soon she and Ian are on the run and trying to discover the truth about what really happened before it’s too late and more people get hurt. Can they find a way to exonerate Ian before the real terrorists find them? Who can Jackie trust with her life? Will Jackie’s former feelings for her childhood crush get in the way and jeopardize their mission to prove his innocence? There’s always something so exciting about Eason’s writing. I absolutely love her books. They have everything in them – action, mystery, suspense, romance, humor, and faith. I love the way she expertly weaves everything together in a way that hooks the reader immediately. I could not put the book down and always look forward to more stories from the author. I really enjoyed getting to know the main characters and loved some of the back stories that gave insight and depth. I found the characters very relatable and likable. Eason is so good at getting the reader caught up in her world and keep the reader guessing at who the real villain is. I definitely recommend this book to anyone who enjoys a romantic suspense thriller that they won’t want to put down!